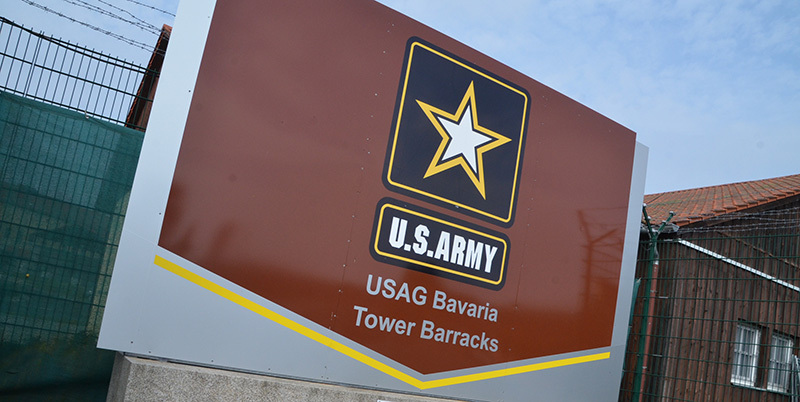 GRAFENWOEHR, Germany — Moving to an amazing, culturally-diverse area as U.S. Army Garrison Bavaria involves a lot of planning and forethought. As with any permanent change of station, or PCS, it’s imperative to keep your head high and remain optimistic. But don’t be fooled: It won’t be easy sailing. In USAG Bavaria there’s a lot to learn about it before moving here. Here are a few things I wish someone had told me before I moved to USAG Bavaria. Grafenwoehr and Vilseck on-post housing has 110 voltage, so it is acceptable to bring your small American appliances and vacuum cleaners. “Beware: A cyclical item such as a stand mixer and other appliances, such as alarm clocks, may have trouble due to the Hertz differences,” said Natalie Kneidl, information referral specialist of Grafenwohr Relocation Center, located at Bldg. 244 Tower Barracks. “On-post housing and most German houses do not have air conditioning. Although most of the year is fairly temperate. It does get hot for a few weeks in the summer,” said Kneidl. To beat the heat, you can get a German standing fan typically at the Thrift Shop in Grafenwoehr, Vilseck, Hohenfels or Garmisch. Or, you may want to check out the Freecycle Centers operated by volunteers for no charge located at Tower Barracks and at Rose Barracks. The Freecycle Center is also a great place to donate or pick up used items. It’s located at Rose Barracks, Bldg. 710, and Tower Barracks, Bldg. 441. In the area connecting Vilseck and Grafenwoehr—USAG Bavaria Headquaters—is garrison shuttle transportation. The garrison shuttle schedule is at www.bavaria.army.mil/transportation. The shuttle runs frequently and operates on a limited schedule on the weekend. ACHTUNG: It does not run on holidays! Beer here is made stronger than typical beers in the U.S…and served in larger bottles! Have a plan before you leave. And be a battle buddy, not a drinking buddy. Taxis are readily available for your convenience, and the public train system is very efficient. Phone numbers at www.bavaria.army.mil/transportation. Boarding the correct train can be tricky. When you board the train at the station, note that the destination where you are going may not be the last destination of the train. For example, a train leaving Nurnberg has the final destination Neustadt a.d. Waldnaab, but this is your train to Vilseck, Freihung, and Weiden. “More often than not, trains leave station as combined trains. For example, you may find a train departing for Neustadt (Waldnaab) connected to a train bound for Regensburg. Signs indicate which segment of the train is going where. Ensure you board the correct section of the train,” said Kneidl. Bottom line up front: Ask around the train until you find out. Staff at the train station speak English and are more than willing to help. No shame in asking for assistance stationed overseas. Overall, Bavaria is beautiful—from the mountains of Garmisch to the Zoigl pubs of Grafenwoehr—there is history here unlike America…within 30 minutes. Enjoy it!.